If you have always thought that the walking foot is only for stitching in the ditch, then you will be pleasantly surprised by what this foot can do. Roberta will teach you to echo, make gentle curves and grids. 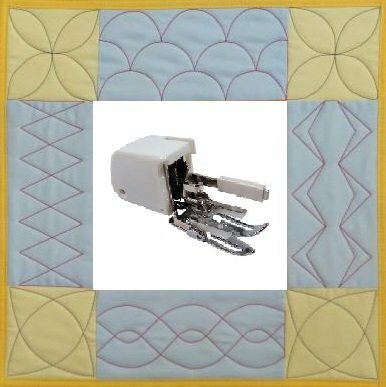 You will learn how to select stencils for borders and accents, and how to let your quilt top guide you in planning a unique design. Fabric for top and back included in class price. Bring a bagged lunch. One meeting, six hours.